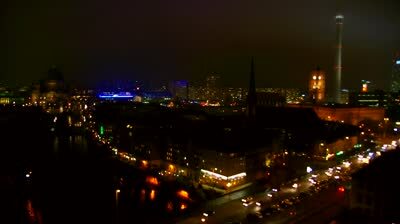 Well, the most exciting activities in Berlin happen in the night. There are so many clubs and bars in Berlin that you could live here for many years and not even see half of them. The bars and clubs are so different with many different cocktails, colours, music, dance floors. A great place to be. Skating in the night? is that a joke? of course not! What should I do today in the night in Berlin? how to decide?